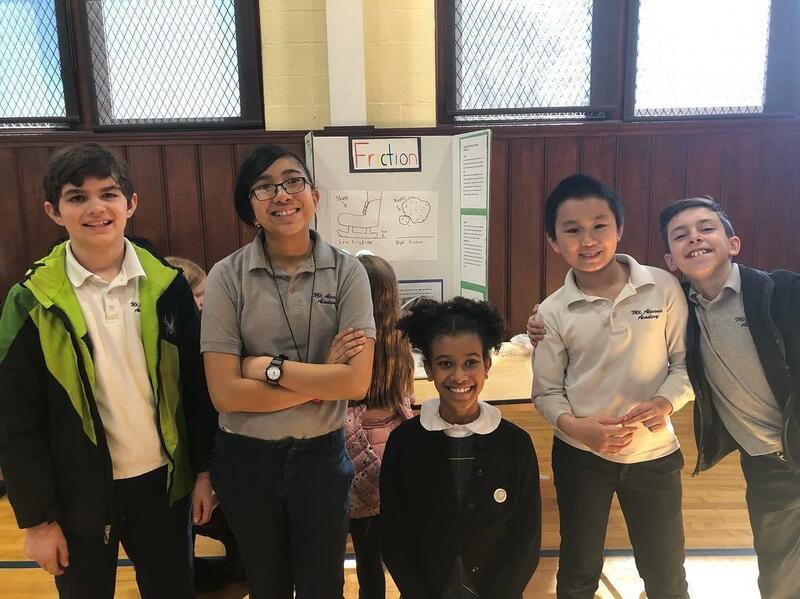 The new format proved to be a dynamic, cooperative learning experience for MAA’s fourth and fifth grade as well as a fun event for the younger students who came to listen to the presentations. Many of the activities for the STEM Fun Fair were from the NEED Project, National Energy Education Project. MAA’s Science Teacher, Mrs. Maria Lyons, attended a NEED Class at the Museum of Science last fall. The NEED project supplied kits for making electricity-generating wind turbines and solar panels, as well as equipment and supplies for experiments on potential and kinetic energy, light, sound, electricity, chemistry, and thermal energy. The students were amazed to measure the electricity produced by a windmill, loved conducting experiments on exothermic and endothermic reactions or, to their surprise, create a rainbow on the ceiling. No one expected to find how energy efficient a LED light bulb really is or how long it takes to decompose a banana peel compared to a plastic bag. The students did a tremendous job presenting to MAA families, community members, and fellow students. 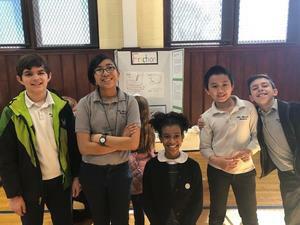 The fourth and fifth-grade students even helped the younger students conduct their activities, providing them with fun, hands-on science experiences.